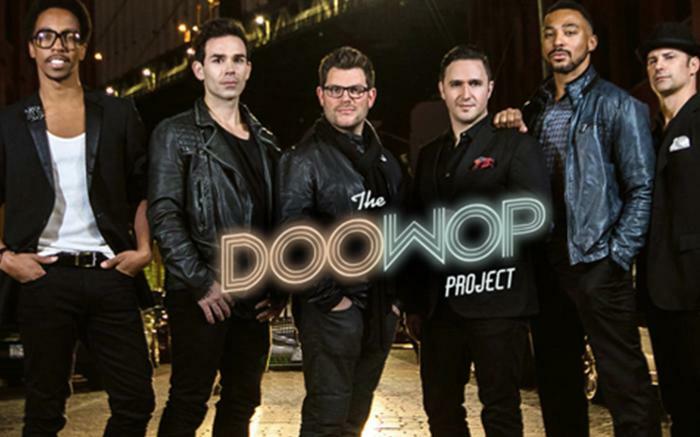 The Doo Wop Project traces the evolution of Doo Wop from the classic sound of five guys singing tight harmonies on a street corner to the biggest hits on the radio today. They take you on a journey from foundational tunes of groups like the Belmonts, and Flamingos through their influences on the sounds of The Temptations, and The Four Seasons all the way to DooWop-ified versions of modern musicians like Michael Jackson, Jason Mraz, and Maroon 5. Featuring stars of Broadway’s smash hits Jersey Boys and Motown: The Musical, the Doo Wop Project brings authenticity of sound and vocal excellence to recreate some of the greatest music in American pop and rock history!